My pots and tiles are made with a specific intent – a function. Plates, cups and tiles are ubiquitous, recognizable. The vases and their multiple spouts are curious when empty, when filled with flowers their function is revealed. The tile is a background or canvas. The cup provides a counterpoint – the curves and movement of the form interact with the surface pattern and imagery. The parameters of the functional pot simultaneously create boundaries and endless possibilities. Ideas come from different places; a book, a conversation or a glimpse of something familiar like a favorite historical pot that can seem new, as if seen for the first time. The studio space is where the concepts and inspiration take shape and become tangible and dimensional. The concept of unity with variety is important. For example, combining soft marks and volumes with crisp edges and lines. I am interested in creating contrasting gestures that can coexist within a pot or a tile through mark making, symmetry and repeated patterns. Sanam Emami is a ceramic artist and an Associate Professor of Pottery at Colorado State University, Fort Collins. 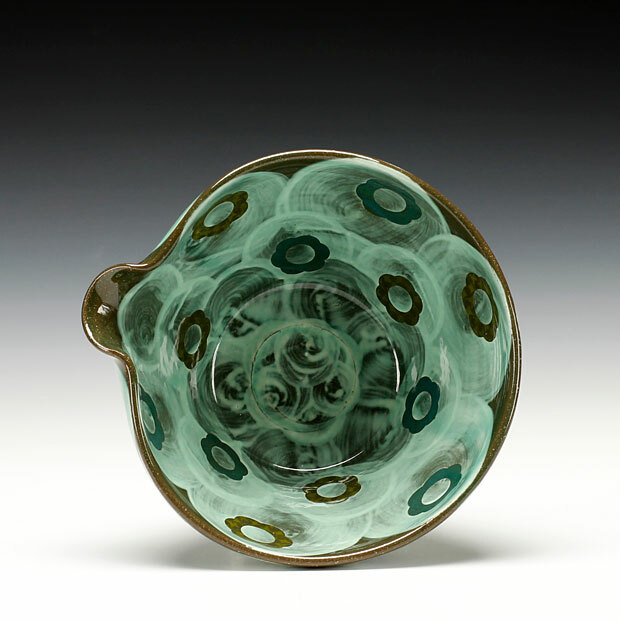 She received a BA in History from James Madison University in Virginia, and an MFA in Ceramics from New York State College of Ceramics at Alfred University. 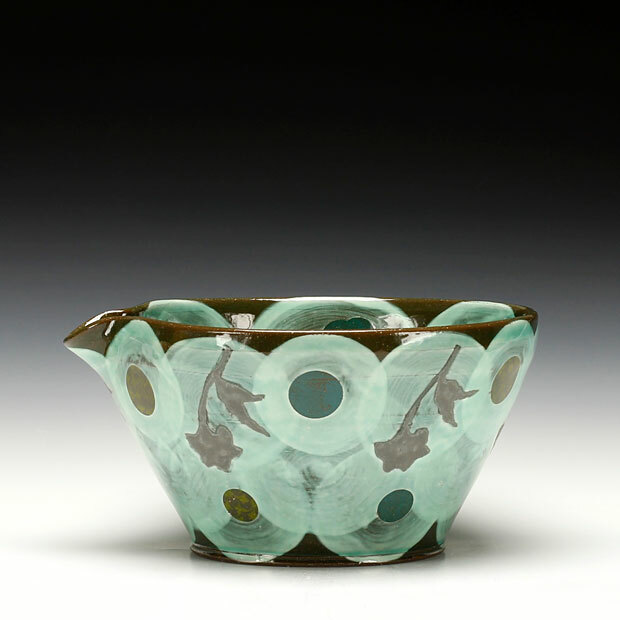 She was a Visiting Assistant Professor in Ceramics at Alfred University, resident artist at the Archie Bray Foundation in Montana, and has lectured at the Office for the Arts at Harvard University; the Kansas City Art Institute; Arizona State University Art Museum-Ceramic Research Center, and NCECA in Louisville, Kentucky.